A unique, eye-catching pair of handcrafted sterling silver fan-shaped earrings. 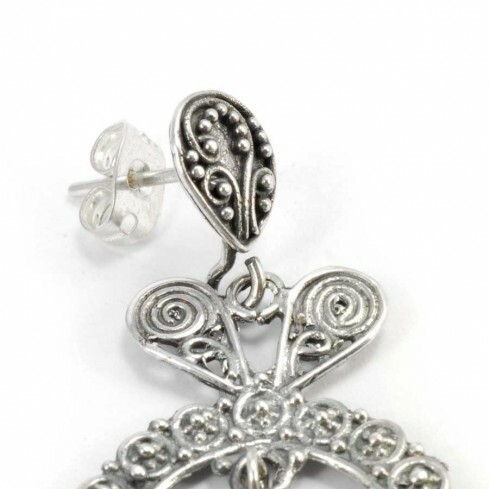 This beautiful accessory features finely worked silver filigree, showcasing stunning detail and stud fastenings. 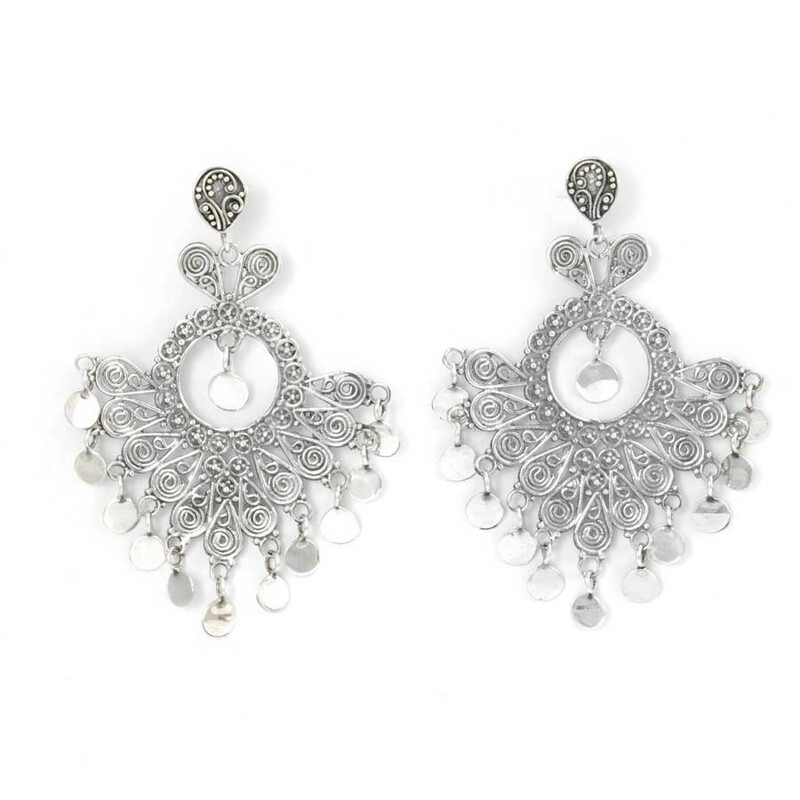 These elegant earrings demand attention! Show off these beautiful earrings by pulling your hear back and wearing them with a smile! A classic silver and natural stone that looks fantastic for all occasions. This stunning silver accessory makes the perfect gift for a loved one!